A neighborhood block club, residents and a successful community garden program were honored during last night’s 6th District town hall meeting by Alderwoman Milele A. Coggs for making the district a great place in which to live, and each was presented with a 2017 Dr. James G. White 6th District Difference Makers Award. 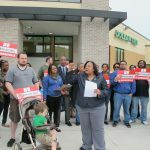 Today Alderwoman Milele A. Coggs received the Milwaukee Urban League’s Economic Impact Award for her efforts to secure a new Pete’s Fruit Market grocery store at N. Dr. Martin Luther King, Jr. Dr. and W. North Ave.
Alderwoman Milele A. Coggs is inviting the public to donate men’s, women’s, and children’s shoes that are in good condition. You can drop-off your shoe donations at Milwaukee City Hall’s first floor rotunda at 200 E. Wells Street. 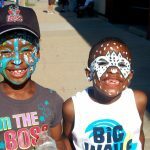 Bronzeville Week 2017 will be home to many different and unique events this week, for people of all ages. 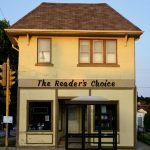 Alderwoman Milele A. Coggs will be attending the Reader’s Choice bookstore closing celebration and liquidation sale this weekend. 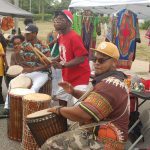 The event will take place at Reader’s Choice at 1950 N. Martin Luther King Dr. on Saturday, July 8 from 9 a.m. to 5 p.m.
Alderwoman Milele A. Coggs invites residents to take part in the Juneteenth Day festivities scheduled for Monday, June 19, 2017, starting at 9:00 a.m. on Dr. Martin Luther King, Jr. Dr. between Burleigh St. and Center St.
Alderwoman Milele A. Coggs and her Common Council colleagues recently approved the creation of a new Safety and Civic Commission, a panel that will be composed of three members appointed by the Mayor and 15 members appointed by Council members (one per aldermanic district). The newly expanded Gee’s Clippers Barbering and Beauty Salon, 2200 N. Dr. Martin Luther King, Jr. Dr., will hold a grand opening ceremony tomorrow (Wednesday, May 17). 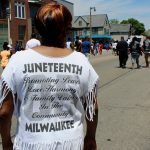 Alderwoman Milele A. Coggs is challenging recent Milwaukee high school graduates to dissect the concept of “freedom” for the 9 th Annual Freedom Essay Scholarship Contest. The scholarship is open to current and recent high school graduates from Milwaukee who are collegebound.